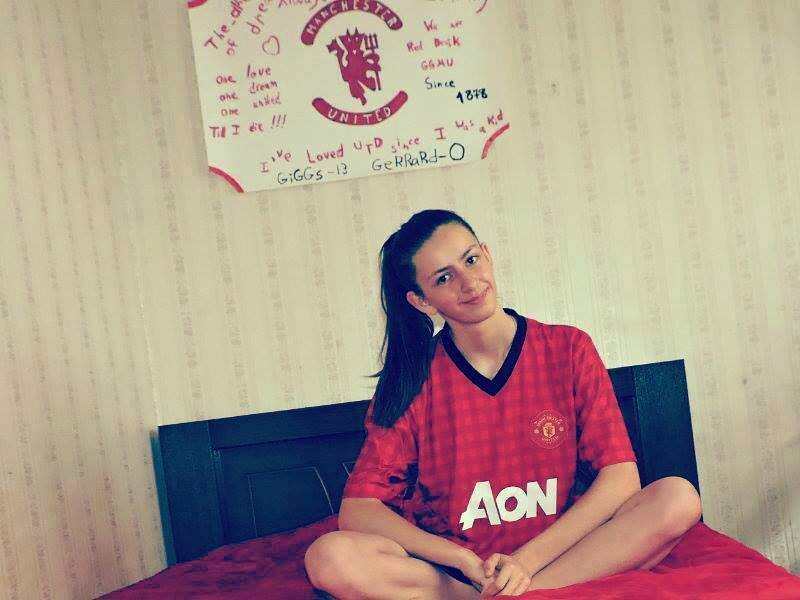 Manchester United Girls: Mariam Khorbaladze From Georgia - "I would bring Mats Hummels to Manchester United"
Mariam Khorbaladze From Georgia - "I would bring Mats Hummels to Manchester United"
Today we have a special fan from Georgia - Miriam, 18 years old, who have agreed to share with us her love to Manchester United. 1. Why did you start to support Manchester United? It was Uefa Champions League final, when I was watching the game. I was inspired of how they all were fighting and trying to win trophy! 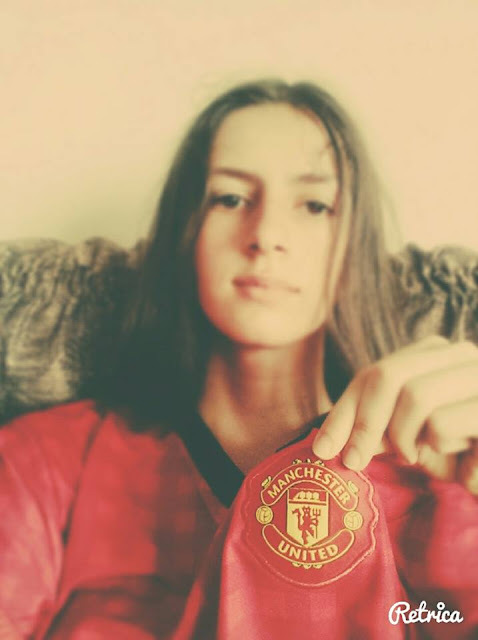 Manchester United lost the game, despite, I guess I was warm heated fan of the best team in England and in the World. 2. Who is your favorite player this season? My favorite player - David De Gea. He is perfect! And I'm sure he loves United and he will celebrate a victory with Manchester United. 3. Who is the best player Manchester United had in its history? I think all of 'REDS' agree with me that Manchester United has got many player who may be the best of teams' history. From my point of view Paul Scholes is best. 4. Have you been to Manchester United match? No .But I know, that stadium is the Theater of Dreams and my dream is watching Manchester United game from old trafford tribune. "I don't like Johnny Evans"
6. What is the best memorable moment you had with the club? 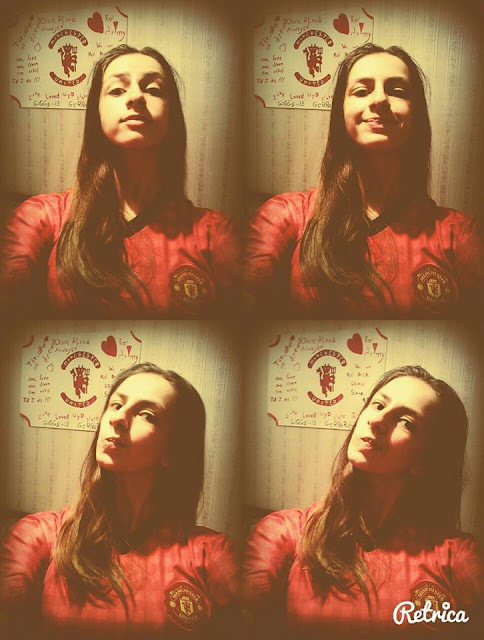 For me, the best memorable moment is the day when I start to support Manchester United. I've said above. 7. What do you think about Alex Ferguson? Alex Ferguson - person who is the best manager in the world. I think nobody could be same as SAF. An achievement for me would be to meet him and ask: "How could you triumph your team? How could you did it? Have you got any connection with spacer, for sure? Can you give me advice: how could I make progress." 8. If you were the manager of Manchester United, who's the player, you would bring to the club? If I were the manager of Manchester United, I would bring Mats Hummels. 10. What will be the achievements of the club this season? Premier League - Title, Uefa Champions League - semifinal. 11. What makes Manchester United as a special club in comparison to other football clubs in the world? Manchester United - a club who has got trophies not for his money, but for its fight. Its aim is looking for as much trophies as it is possible to getting. I love Manchester United, I love Manchester United fans, because we are the best. Manchester United 'most popular team in world' with 659 million fans. "We have 659 million fans around the world"